LUCY BURDETTE: I just got the completed cover art for my May book and had to share it with you! Isn't it a beauty? Now back to food...I was about to mail Christy Ellingsworth’s Dash Diet 30-minute Cookbook to my brother, as they have new cooking/health challenges in their family. But I decided I should glance through one more time first. 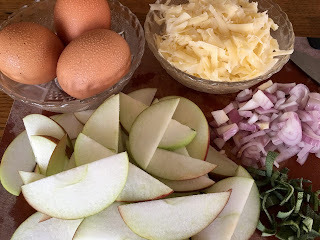 Core the apple and cut it into thin slices (no need for peeling.) Peel and dice the shallot. Cut the sage into ribbons. Beat the eggs together with a splash of water or milk. In a big skillet, melt 2-3 tablespoons olive oil and or butter. Scrape in the shallot and apple and sauté over low heat until soft and beginning to brown. Add the ribbons of sage, followed by the eggs. 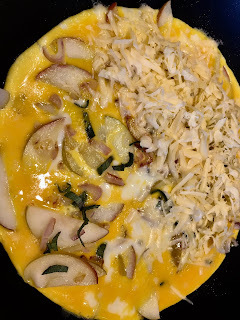 When the eggs begin to set, add the shredded cheese. 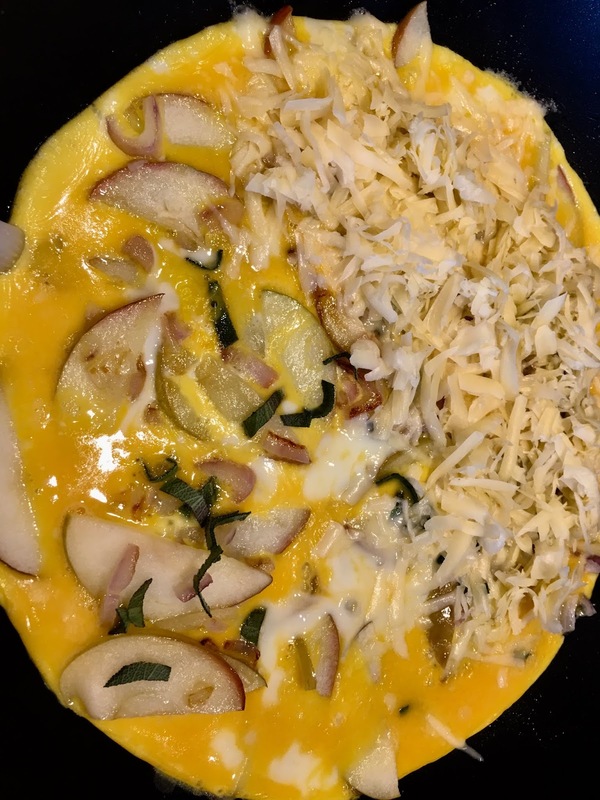 Fold half of the omelet over the other, and serve when cooked through. Serve this with a nice green salad and maybe a stray biscuit and your table-mates will be delighted! That cover is amazing! The sunset, the fairie lights wrapped around and in the palm tree and the table settings really make you want to pick up this book! Omelets are great meals! Thank you for sharing your recipe. thanks for the kind words Deb! I'm very lucky to have those artists working on my covers! Looks delicious! I'd never have thought of an apple in an omelet. Oh, gosh, what a interesting flavor combo -- thanks for sharing it. And congrats on the terrific new cover! I hope the cover cat reconsiders and reaches for the turkey rather than the knife! 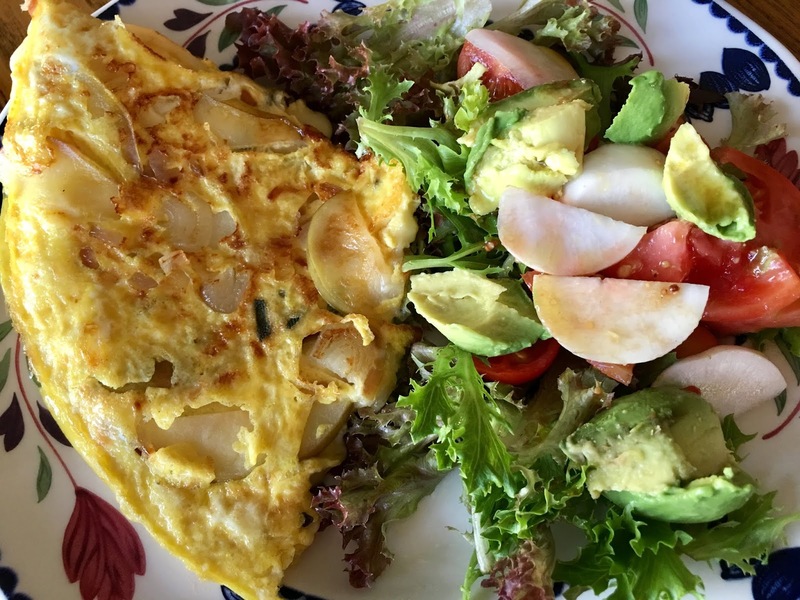 The omelet sounds simple and delicious. Just what we need when the season gets hectic. LOL Libby, I don't know what that cat has in mind! I love this series, and the cover is amazing! The recipe looks and sounds delicious. 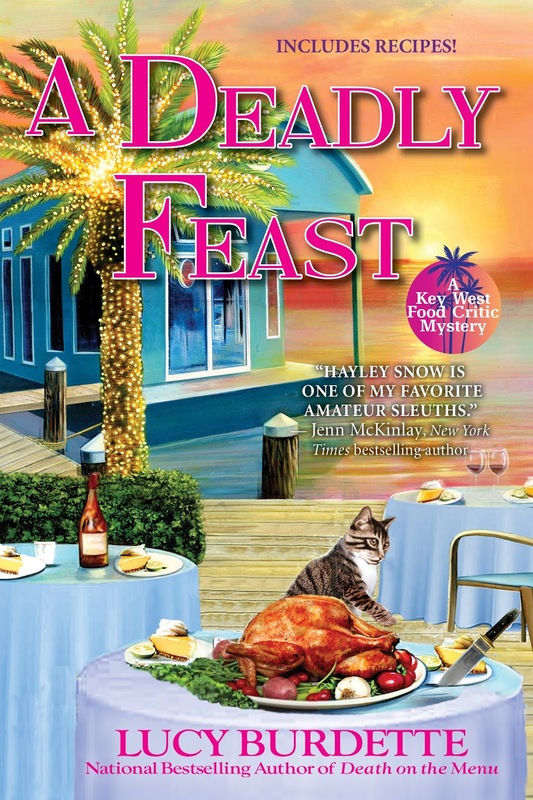 Love the cat on the book cover! Can hardly wait for the new one in this series. Beautiful cover for a terrific series. Congrats, Lucy/Roberta!